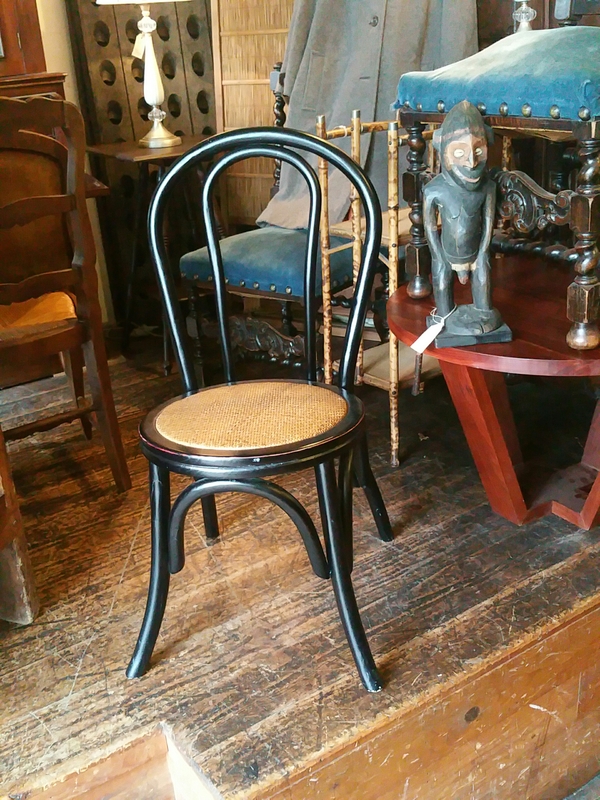 One of a set of four reproduction bentwood café chairs $89 each. In the background a tribal carving of a ‘male’ warrior $195. 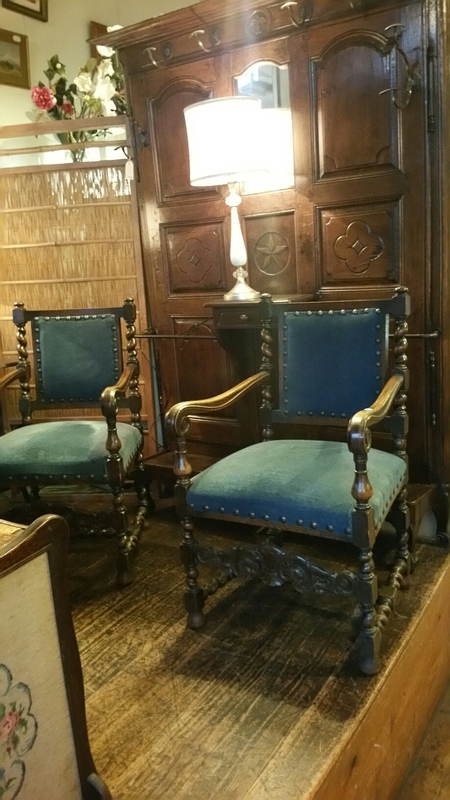 And two of six Jacobean Revival oak dining chairs similar to the two armchairs recently mentioned. This set $295 for six. A pair of Oak armchairs covered on blue velvet. $385 for two. Behind we can see an oak hallstand made in France for $1485.